With all the options available for windows, doors, and other home improvement projects, it can get pretty overwhelming to try and choose the one that’s right for you. Brock Doors and Windows is the solution for your home improvement projects, not only because we have been serving Ontario for over 26 years, but because we offer superior service, products, and expertise you can trust. We install top quality vinyl doors and windows for homeowners across Ontario, including Toronto, Brampton, Hamilton, Mississauga, Oakville and Pickering. Here are just a few of the reasons why Brock Doors and Windows is the best contractor for you. For decades, customers have been choosing Brock Doors and Windows for their home improvement projects. Why? The answer is simple. We have top-of-the-line expertise in windows and doors replacement and installation. Since 1990, Brock Doors and Windows has performed over 70,000 quality installations for satisfied customers, and our service awards include “Top Choice Award 2016”, and “Consumer Choice Award 2016 GTA”. Our positive testimonials and customer reviews are in the thousands, and you can review them online for yourself or by request. Brock Doors and Windows offers a large variety of high performance, Energy Star qualified windows and doors. Brock professionals know our North Star custom built windows like the back of our hand. We will give you quality advice about all of your options, including the best materials and glass options, making it a breeze for you to make the decisions that are best for your Toronto home! Brock Doors and Windows offers our customers a free, no-pressure consultation, right in the comfort of your own home. We will take measurements, show you samples, and answer any important questions that you have. Also, you don’t have to wait to get your quote, because we will give you a quote right there on the spot! Even if you purchase the best replacement windows or doors in the world, you will still have energy loss and a myriad of other issues if they aren’t properly installed. Installation can be a touchy process, and even slight measurement mistakes can result in a malfunctioning product. This is why precise calculations by professionals are absolutely vital to ensure that the finished product functions correctly. 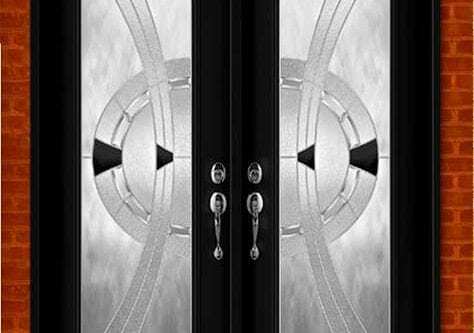 The experts at Brock Doors and Windows have the knowledge it takes to make sure that your windows or doors will perform to their utmost potential. We inspect the doorway or window area to ensure that it is strong and hazard-free, and we use the high-quality tools that are essential to properly securing your doors and windows. Our quality installations ensure that your end result will function as the airtight, reliable and durable product that it’s supposed to be. For over 26 years, Brock has been ensuring the complete satisfaction of customers just like you. We will be there for you throughout the entire process of your home improvement project, from estimate to completion.